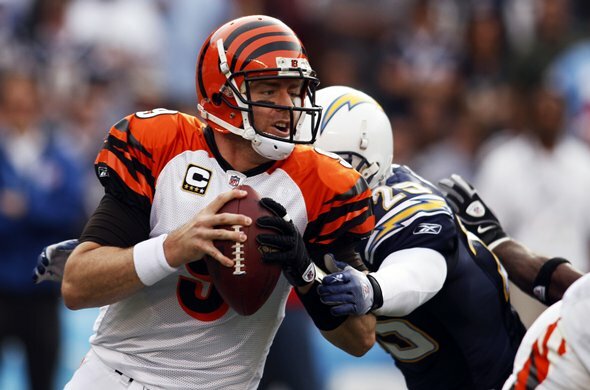 The Bengals look to spoil San Diego’s playoff hopes as the Chargers come to Paul Brown Stadium for a 4:05 kickoff Sunday. The game was originally scheduled to be on NBC’s Sunday Night Football, but it was flexed to the 4:05 kickoff and was replaced for the nightcap by the Eagles-Vikings. The game is blacked out in local Cincinnati markets as the game did not sell out. The Chargers have followed their pattern of recent years, stumbling out of the gate only to come on strong down the stretch. They currently rank second in the league in total offense, second in passing offense, first in total defense, first in passing defense, and second in rushing defense. With gaudy stats like that, it’s a wonder that they sit presently at 8-6, a game behind the Chiefs in the AFC West and needing to win out to have any hope of a playoff berth. One loss and they’ll likely lose out on any hope for the division crown, and with the Jets/Patriots and Steelers/Ravens virtually assured of any available wildcard spots, the Bolts could be the most impressively talented team to sit out the playoffs in years. The good news for San Diego is that their last two games are against the lowly Bengals and Broncos. As for the Bengals, they were able to stop a 10-game losing streak last week with a strong performance against Cleveland. With Terrell Owens and Chad Ochocinco hobbled, Cincinnati played their youngsters more than they have all year, and the result was a ferocious running attack from Cedric Benson, and some very efficient passing from Carson Palmer to Jordan Shipley, Jerome Simpson, and Andre Caldwell. The defense put together a solid effort, stoning Cleveland’s power back Peyton Hillis, and containing phenom QB Colt McCoy. Look for the Bengals to do more of the same Sunday. Do they have any hope of pulling an upset? On paper, it appears the answer is no, but the team should be feeling confident and several players have a lot to prove. The game is in Cincinnati, where the weather is expected to be sloppy, with snow expected. Bad weather could work in Cincy’s favor, limiting Philip Rivers and the Charger passing game, protecting the Bengal secondary. But for the Bengals to win, they’ll need to protect the ball against San Diego’s defense, and they’ll need to generate some turnovers on defense. They must establish Cedric Benson and Bernard Scott in the running game and get the same kind of push from the offensive line as they got against Cleveland. Benson will need to run with the kind of aggression he showed in getting 150 yards on 31 carries. 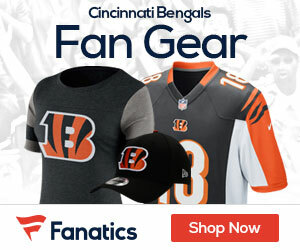 The Bengals will also need to have their young defensive players, particularly rookies DE Carlos Dunlap and DT Geno Atkins, to bring pressure and rush Rivers into quick throws. The Bengals will be playing for a lot Sunday. Players will be trying to put their best plays on tape as the organization prepares for offseason roster evaluations. They might also be playing for Marvin Lewis’ job, and the opportunity to force the Chargers to watch the playoffs on TV just as they will. However, the Chargers will be playing for more. With their playoff hopes on the line, the Chargers will struggle with the Bengals, but will make enough plays in the end to keep their hopes alive. Chargers 34, Bengals 20. Carson Palmer’s command of the offense without diva WR’s Chad Ochocinco and Terrell Owens on the field.